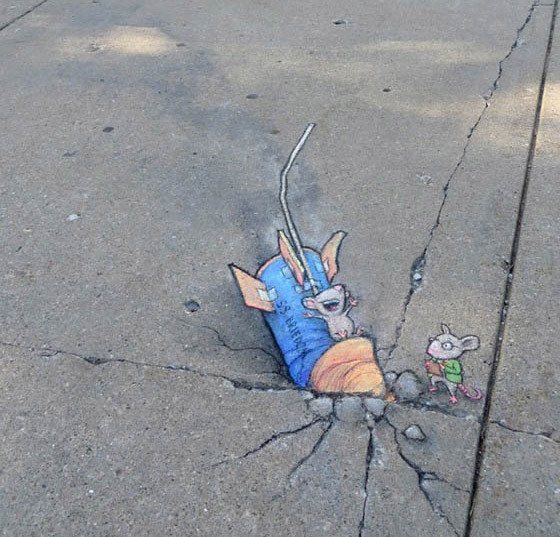 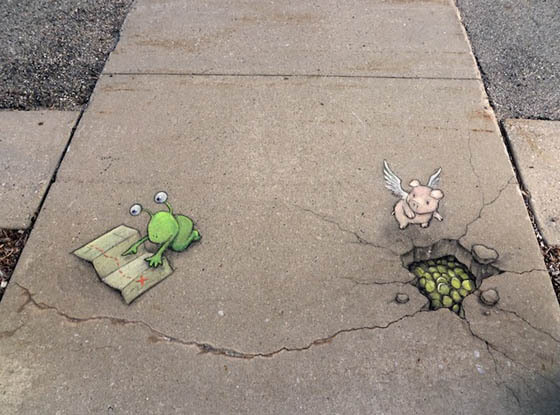 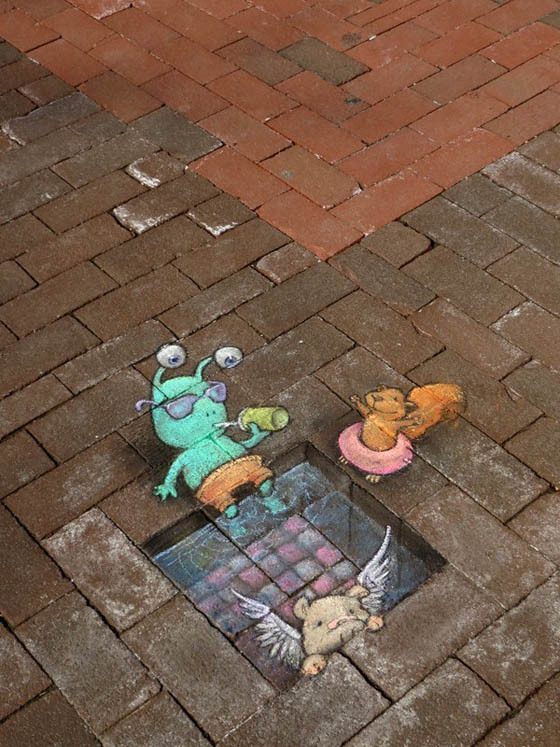 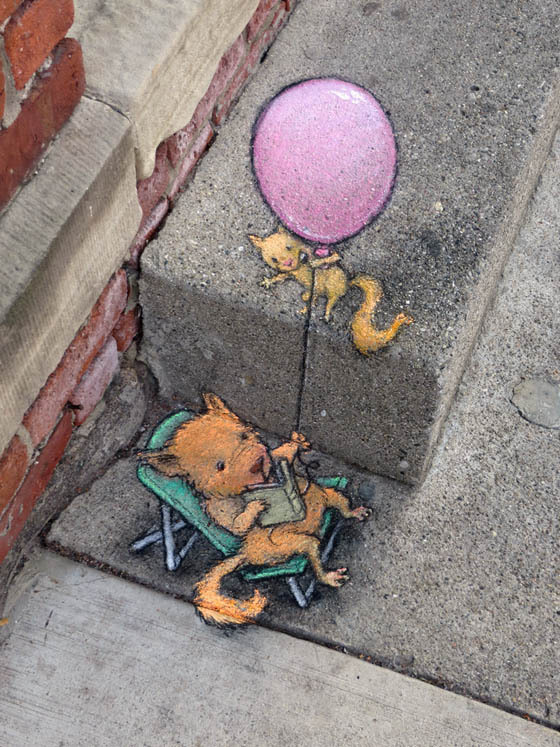 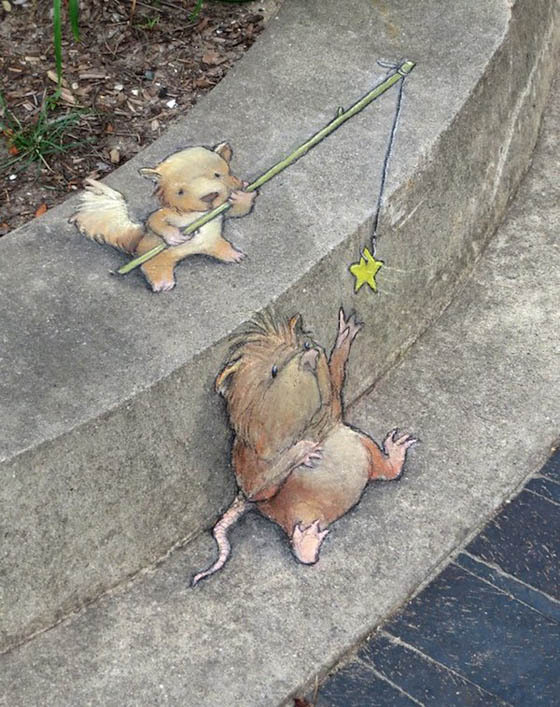 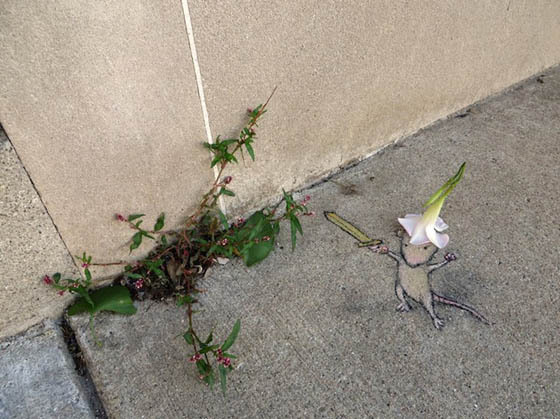 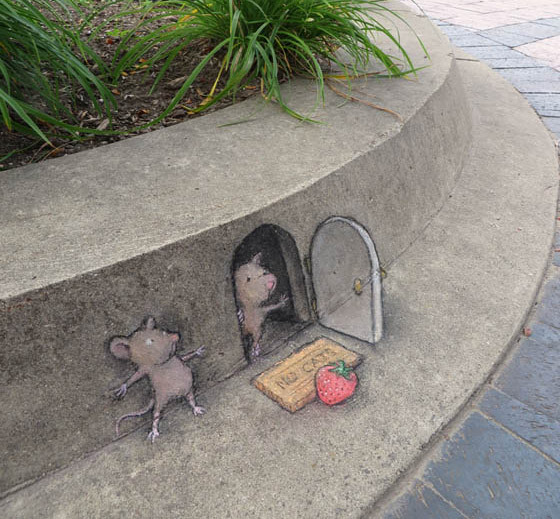 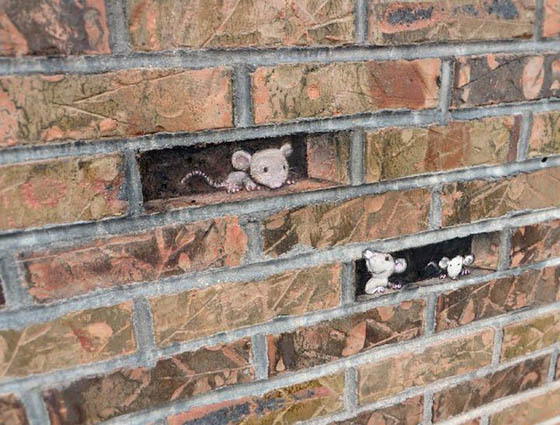 Since 2001, artist and illustrator David Zinn has stalked the streets of Ann Arbor, Michigan, creating temporary illustrations with chalk and charcoal. 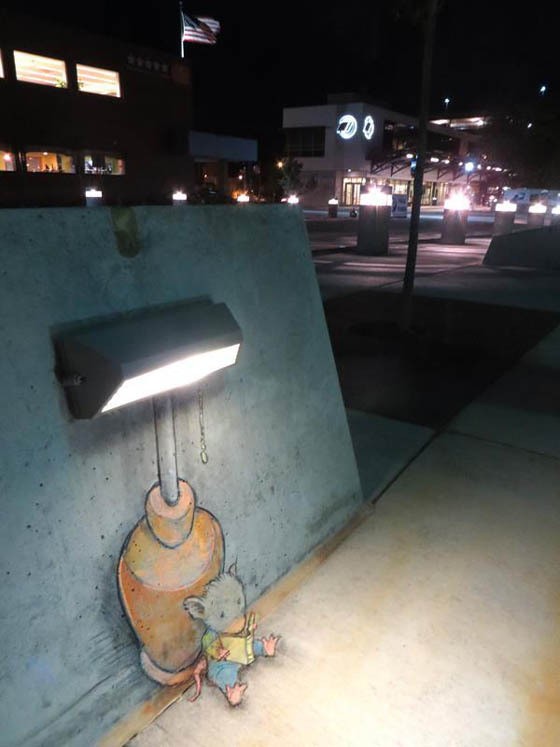 These playful street art cleverly interact with found objects and the surrounding environment, such as sidewalk cracks, bricks walls, street lamps, and flower petals, adding a delightful sense of 3D to the lively illustrations. 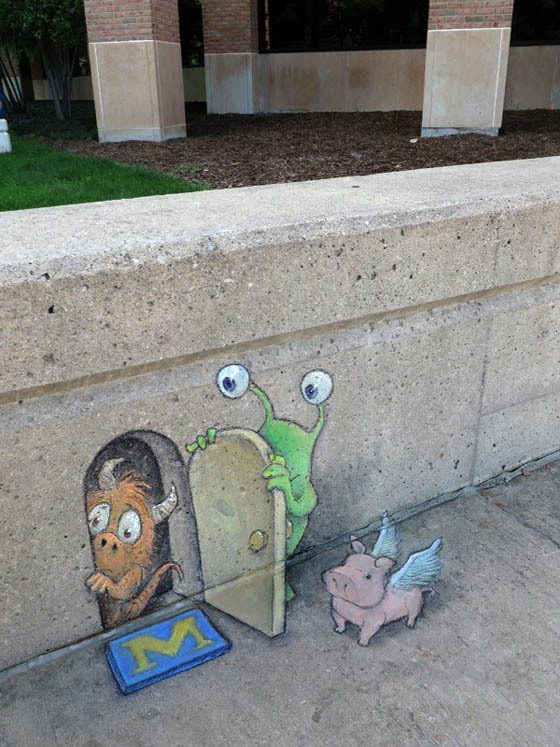 Take a look at Zinn’s previous work we featured on site.